↑ अ आ इ "Gujarat: Sardar Patel statue to be twice the size of Statue of Liberty". CNN IBN. 30 October 2013. अभिगमन तिथि 30 October 2013. ↑ "India's Statue of Unity is so big you can see it from space". ↑ "This Is How Statue Of Unity Looks From Space. See First Image". ↑ "Gujarat: Statue of Unity expected to attract 10,000 tourists daily". 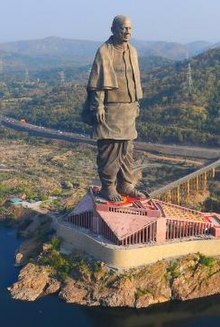 ↑ "Statue Of Unity/ कैसी है हमारी स्टैच्यू ऑफ यूनिटी- एक ही जगह जानिए, पटेल की इस प्रतिमा के बारे में सब कुछ". ↑ अ आ "Burj Khalifa consultant firm gets Statue of Unity contract". द टाइम्स ऑफ़ इण्डिया. TNN. 22 अगस्त 2012. अभिगमन तिथि 28 मार्च 2013. ↑ "State of Gujarat plans "Statue of Unity"". स्टैच्यू ऑफ यूनिटी डॉट कॉम. 10 जुलाई 2013. अभिगमन तिथि 4 नवम्बर 2013. ↑ अ आ "L&T to build Statue of Unity, Centre grants Rs 200 crores". Indian Express. 11 July 2014. अभिगमन तिथि 12 October 2014. ↑ अ आ "Gujarat govt issues Rs 2,97-cr work order to L&T for Statue of Unity". Business-Standard. 2014-10-28. अभिगमन तिथि 2014-10-28. ↑ "Statue of Unity ready for inauguration on October 31: 10 interesting facts about world's tallest statue". The Financial Express (अंग्रेज़ी में). 2018-10-13. अभिगमन तिथि 2018-10-13. ↑ अ आ "पीएम मोदी करेंगे 'स्‍टैच्‍यू ऑफ यूनिटी' का उद्घाटन, तैयारी जोरों पर". दैनिक जागरण. 16 अक्टूबर 2018. अभिगमन तिथि 17 अक्टूबर 2018. ↑ "'District farmers to donate iron for Statue of Unity' - The Times of India". द टाइम्स ऑफ़ इण्डिया. ↑ अ आ इ "The Indian Republic". The Indian Republic. ↑ अ आ "Pan-India panel for Modi's unity show in iron". The New Indian Express. ↑ "Statue of Unity: 36 new offices across India for collecting iron - The Times of India". The Times Of India. ↑ "Farmers' iron not to be used for Sardar Patel statue". dna. 9 December 2013. ↑ "Large number of people run for unity". ToI. अभिगमन तिथि 21 December 2013. ↑ "'Saffron' run for unity". ToI. अभिगमन तिथि 21 December 2013. ↑ "United rush to fill enrolment quotas for 'Run for Unity'". ToI. अभिगमन तिथि 21 December 2013. ↑ "Hundreds take part in 'Run for unity' in Bangalore". Chennai, India: The Hindu. 16 December 2013. अभिगमन तिथि 21 December 2013. ↑ "Statue of Unity sees record 27,000 visitors on Saturday". ↑ "L&T to build Statue of Unity, Centre grants Rs 200 crore". The Indian Express. 11 July 2014. ↑ "Statue of Unity gets Rs. 200 crore". The Hindu. 10 July 2014. अभिगमन तिथि 11 July 2014. ↑ "India's new budget includes $33 million to build the world's tallest statue". The Washington Post. 10 July 2014. अभिगमन तिथि 11 July 2014. ↑ "India's Modi budgets $33 million to help build world's tallest statue". Reuters. 10 July 2014. अभिगमन तिथि 13 July 2014. ↑ "Burj Khalifa - The Skyscraper Center". ↑ "Gujarat's Statue of Unity to cost Rs25 billion". Daily News and Analysis. 8 June 2012. अभिगमन तिथि 28 March 2013. ↑ BS Reporter (28 October 2013). "First phase of 'Statue of Unity' to cost Rs 2,063 cr". ↑ अ आ "Ground gets set for Statue of Unity". The Indian Express. 11 October 2013. अभिगमन तिथि 13 October 2013. 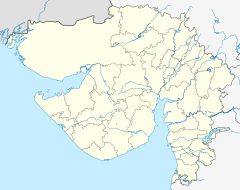 ↑ "World's tallest statue coming up in Gujarat". Daily News and Analysis. 7 October 2010. अभिगमन तिथि 28 March 2013. ↑ "Interesting things you should know about 'The Statue of Unity'". The Economic Times. 1 November 2013. अभिगमन तिथि 2 November 2013. ↑ "Statue of Unity project has no environmental clearance, say activists". The Hindu. Chennai, India. 23 December 2013. ↑ "Statue of Unity: Govt bows to villagers' demands". द टाइम्स ऑफ़ इण्डिया. TNN. 28 October 2013. अभिगमन तिथि 30 October 2013. 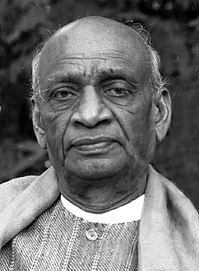 ↑ "Budget 2014: Indians balk at ₹2 billion statue of Sardar Patel". The Times of India. AP. 10 July 2014. अभिगमन तिथि 11 July 2014. ↑ "Budget 2014 live: 200 crore for Sardar statue sparks outrage on Twitter". Firstpost. 10 July 2014. अभिगमन तिथि 11 July 2014. ↑ "Twitterati slam Rs 200 crore in budget for Patel statue The Indian Express". 10 July 2014. ↑ "Statue of Unity to be 'made in China', Gujarat govt says it's contractor's call". The Indian Express (अंग्रेज़ी में). 2015-10-20. अभिगमन तिथि 2017-04-09.